After a week of trying to minimize damage, Hyundai Motor Group is unable to accept payments using Shinhan Card, Samsung Card and Lotte Card in South Korea from Monday, due to unresolved disputes with local credit card companies over transaction fees. The development is the latest in an escalating conflict between the Korean automaker and local credit card companies over a transaction fee hike that has been facing flak for inconveniencing customers in the process. The five companies were Shinhan Card, KB Kookmin Card, Samsung Card, Lotte Card and Hana Card, which comprise Korea’s biggest credit and debit card providers. The Korean automotive giant said it had opposed the card firms’ fee hike plans and had requested further negotiations on the matter. But the card companies pushed through with their fee hikes anyway. According to industry sources, card companies here have been demanding a hike of between 0.1 to 0.15 percentage points, while Hyundai Motor Group has been insisting on an increase of 0.01 percentage point. 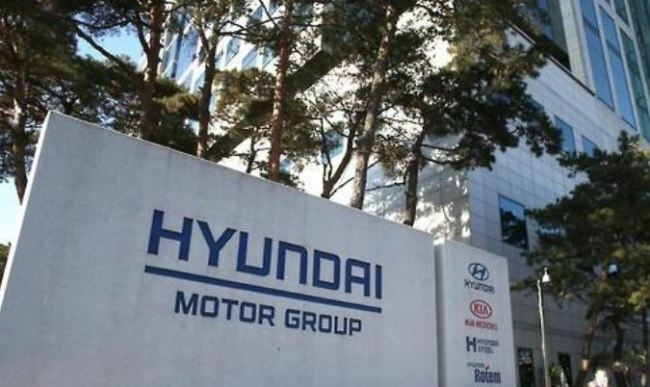 Hyundai had set the deadline for the fee negotiations at March 11. And over the weekend, KB Kookmin Card and Hana Card had agreed on a midway solution that raises the rate by 0.04 to 0.05 percentage point. However, Shinhan Card, Samsung Card and Lotte Card -- the three biggest card providers -- did not reach an agreement. As a result, their partnerships with Hyundai were terminated on the Monday deadline, Hyundai said. Meanwhile, Hyundai Card, NH Nonghyup Card and Citi Card reached a consensus on the fee rates with Hyundai Motor. BC Card on Monday also reached an agreement with Hyundai to increase the rate by 0.04 to 0.05 percentage points. The fee hike dispute comes as local credit card providers decided to charge higher transaction fees to its bigger clients -- those with an annual revenue exceeding 50 billion won ($44 million) -- after changes to local card transaction fee regulations took effect in November. Last year, the Financial Services Commission ordered credit card companies here to lower their transaction fees for small businesses with less than 3 billion won in annual revenue, extending the threshold from the previous 50 million won. To even out the losses, the FSC simultaneously allowed credit card firms to claim higher “marketing activity fees” from client firms with more than 50 billion won in annual revenue, enabling fees to be raised by up to 0.25 percentage points.